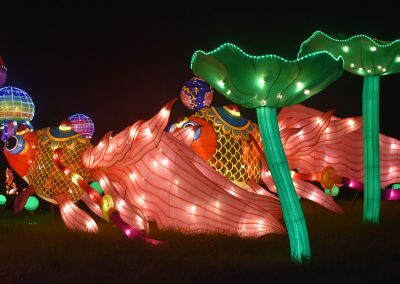 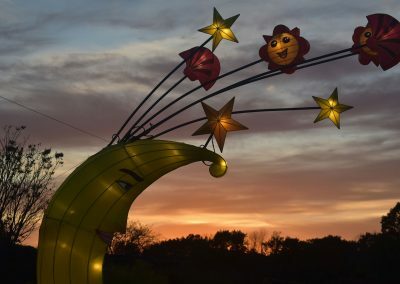 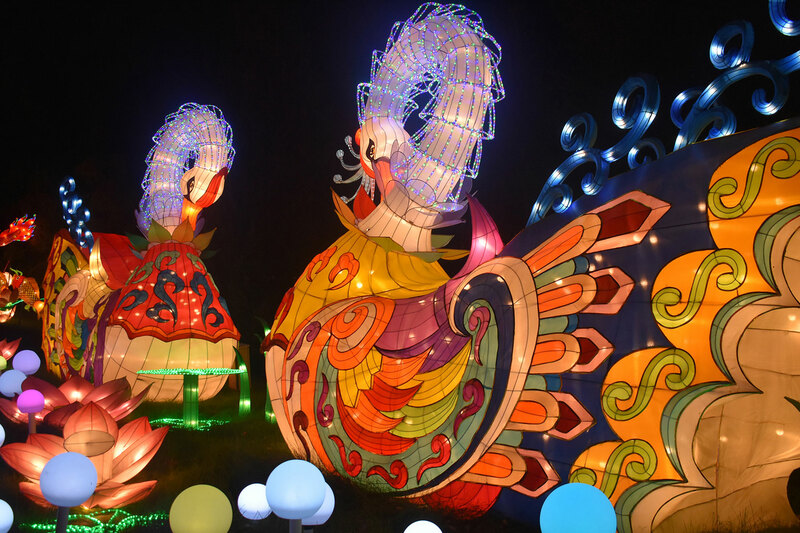 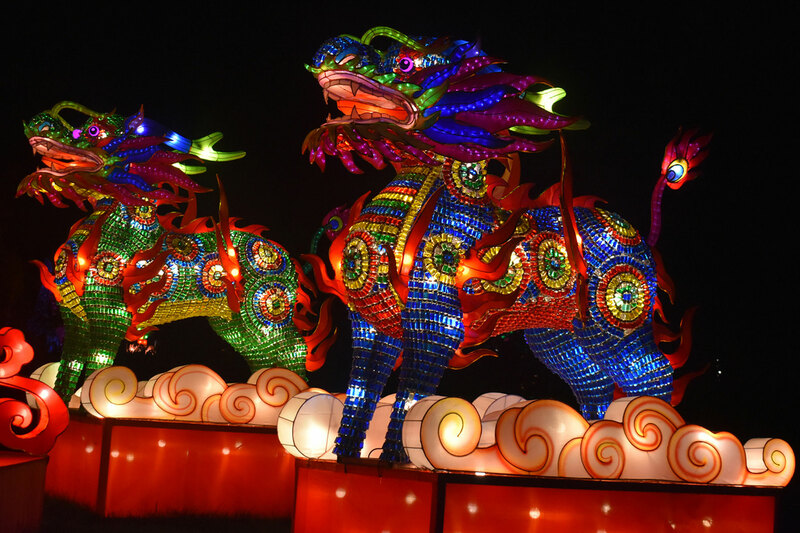 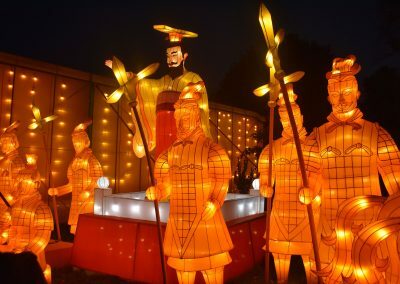 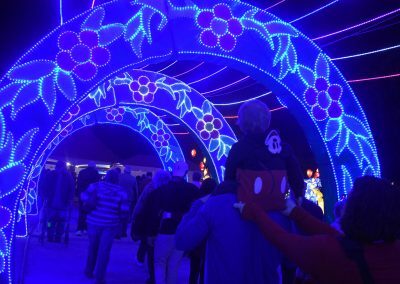 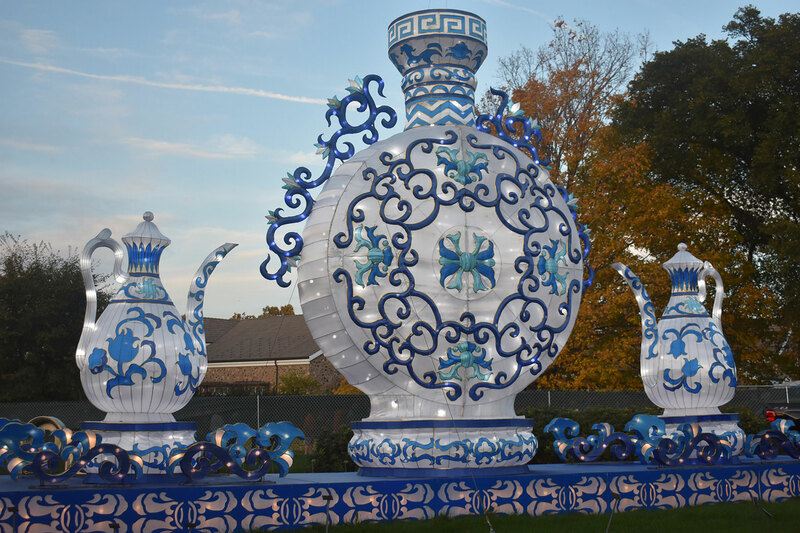 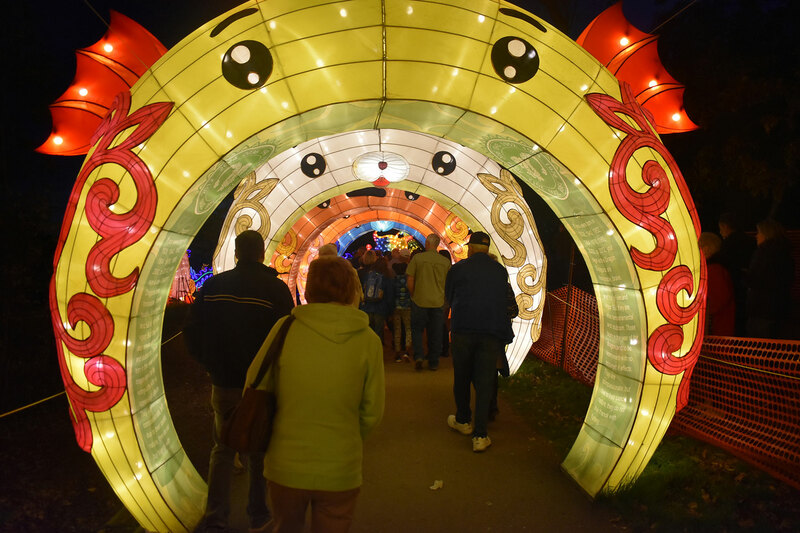 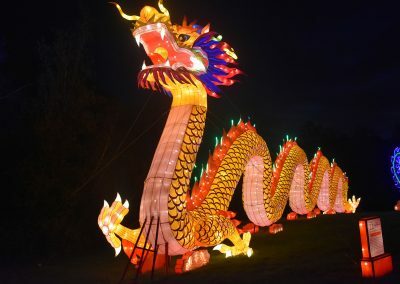 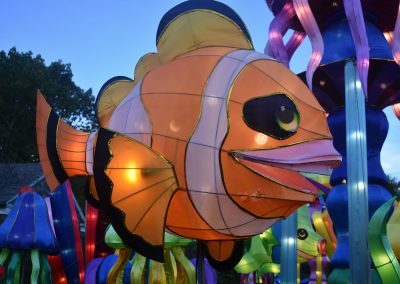 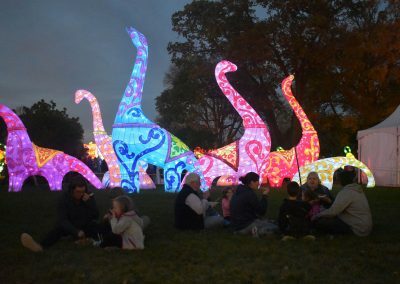 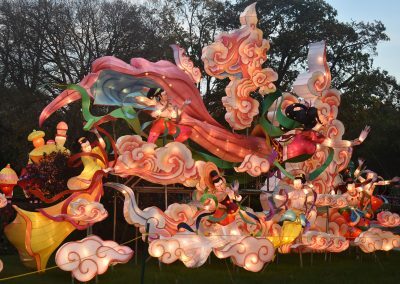 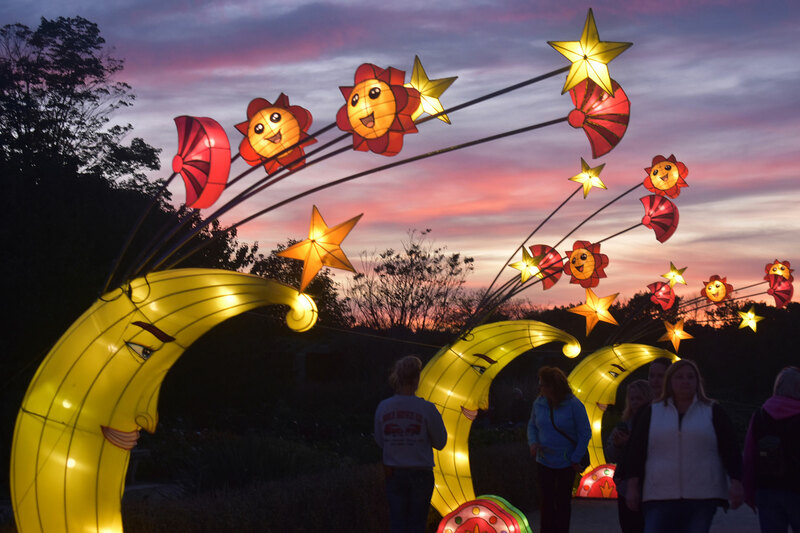 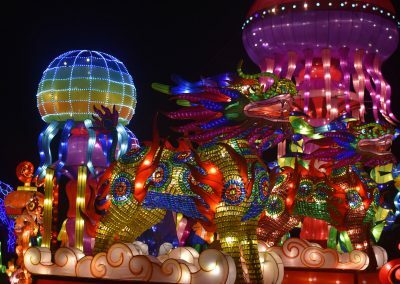 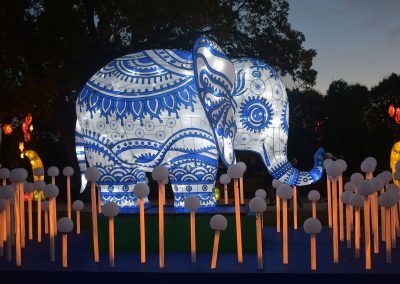 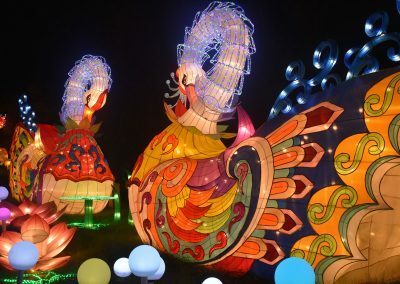 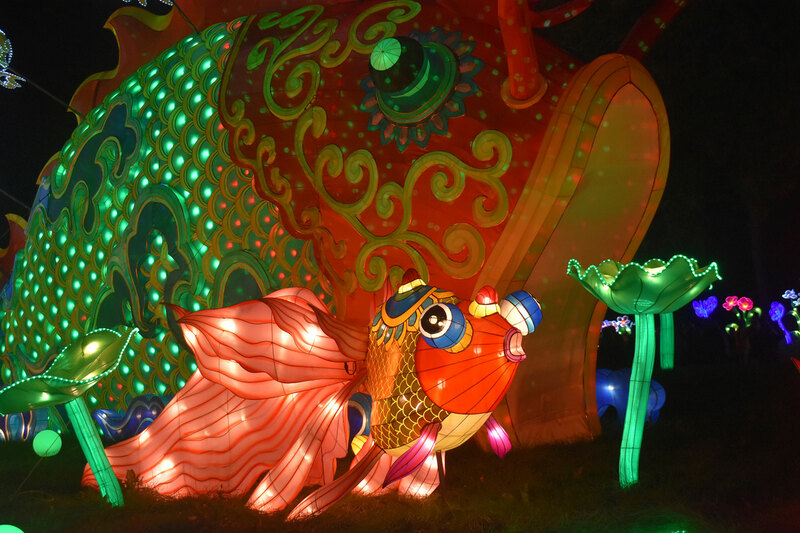 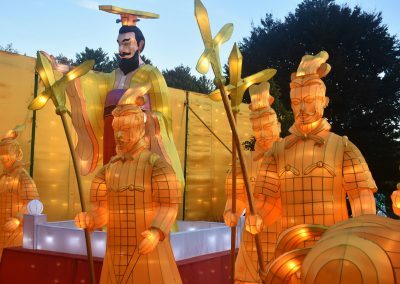 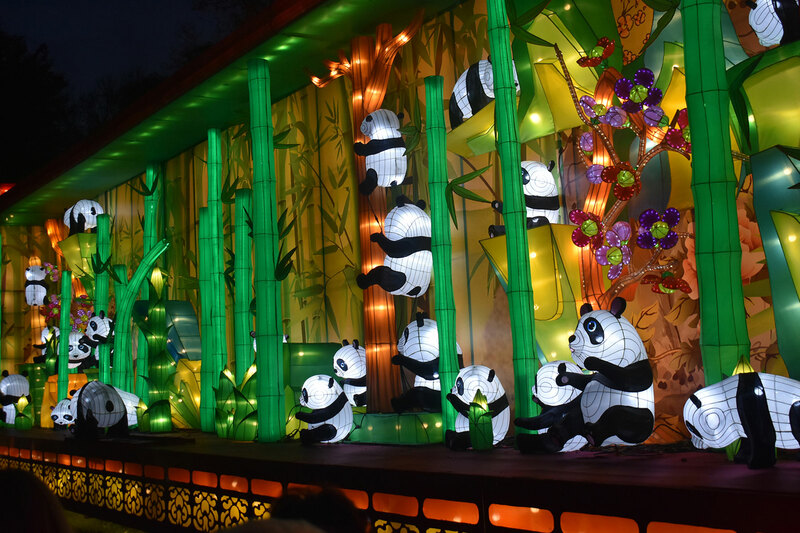 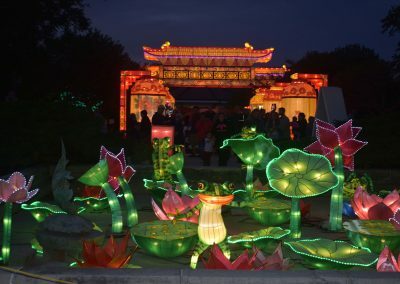 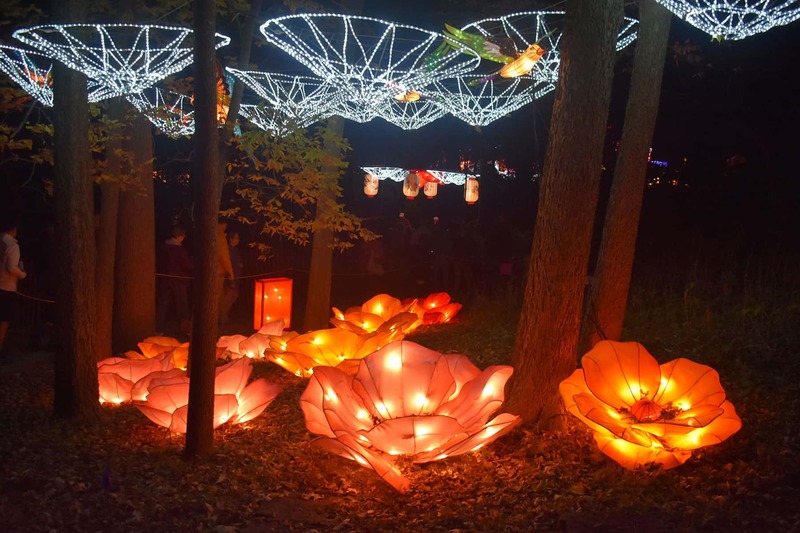 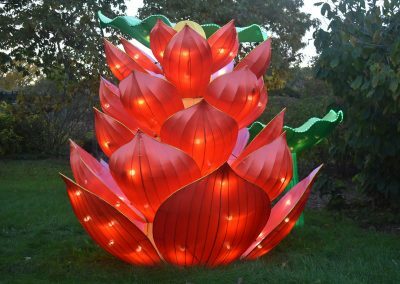 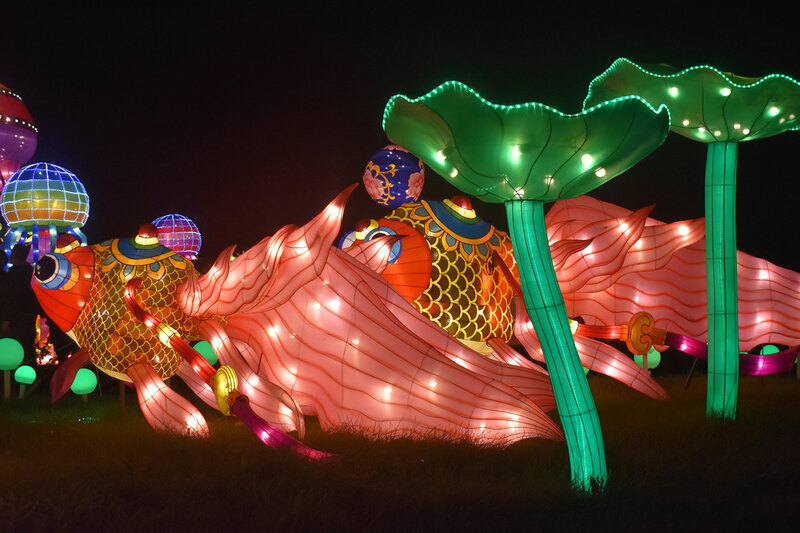 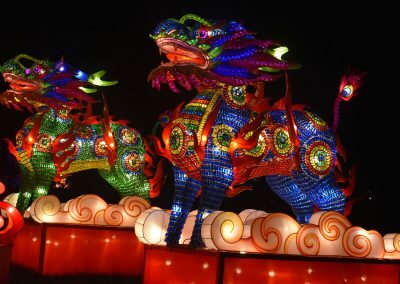 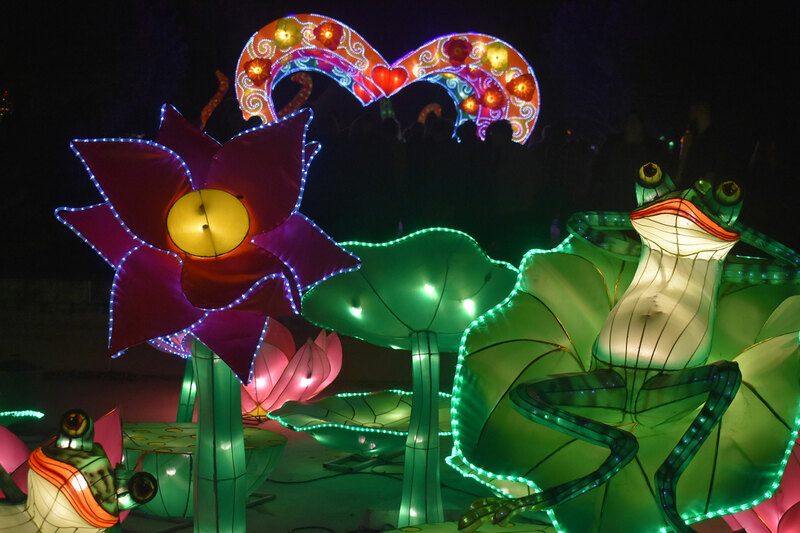 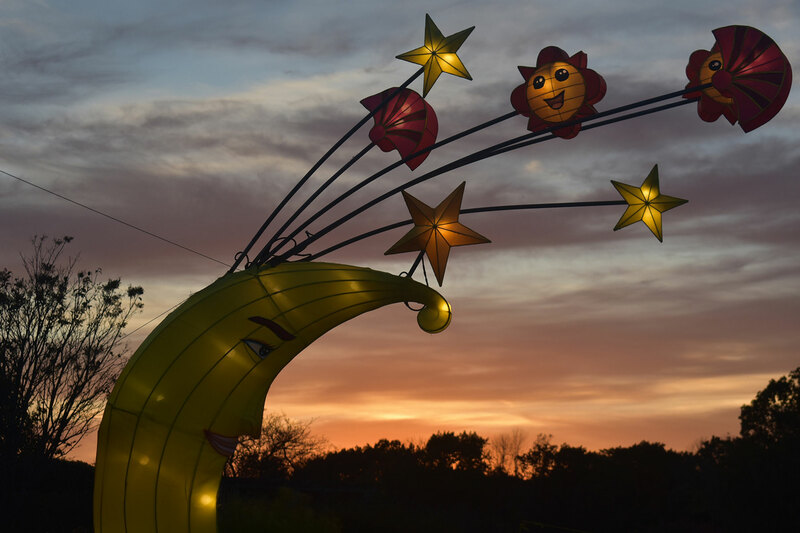 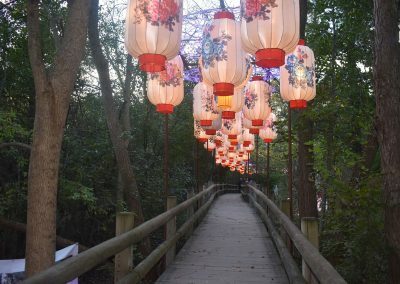 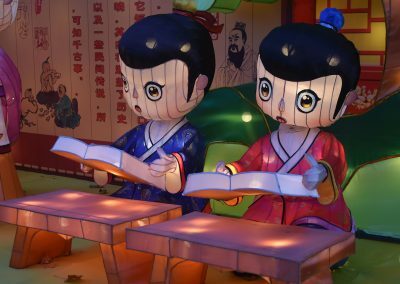 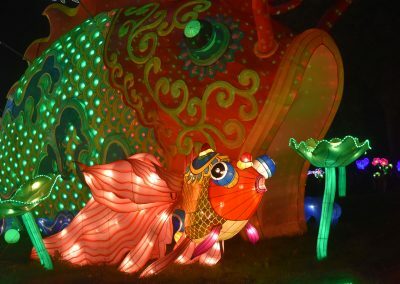 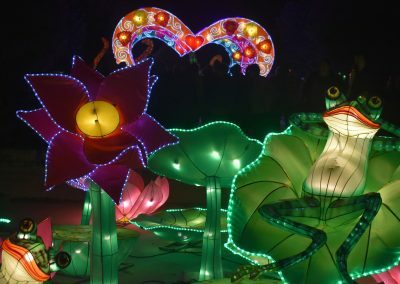 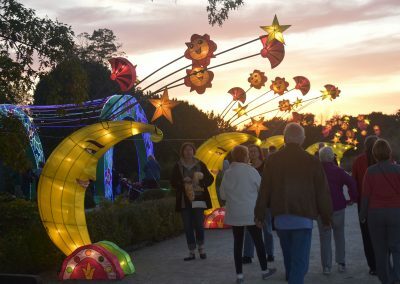 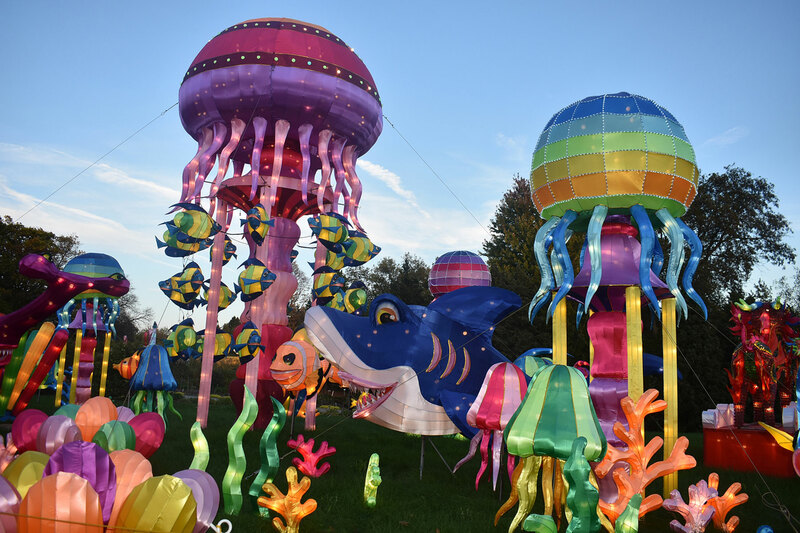 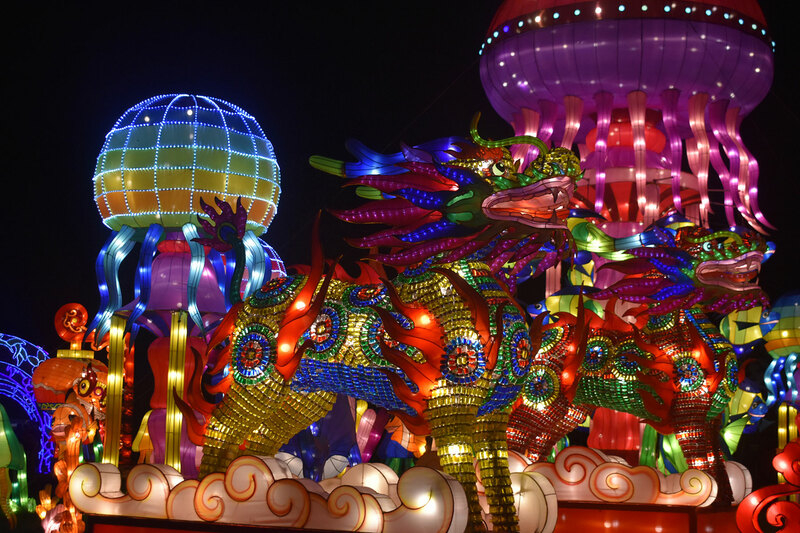 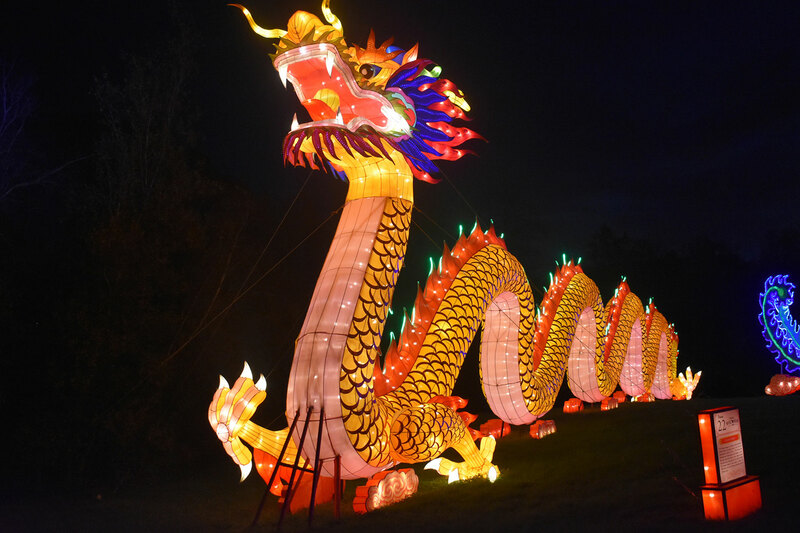 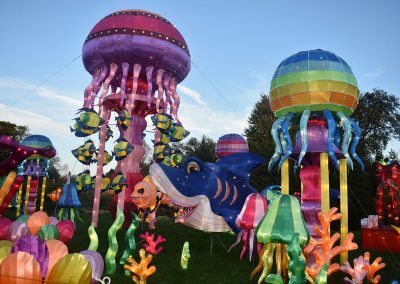 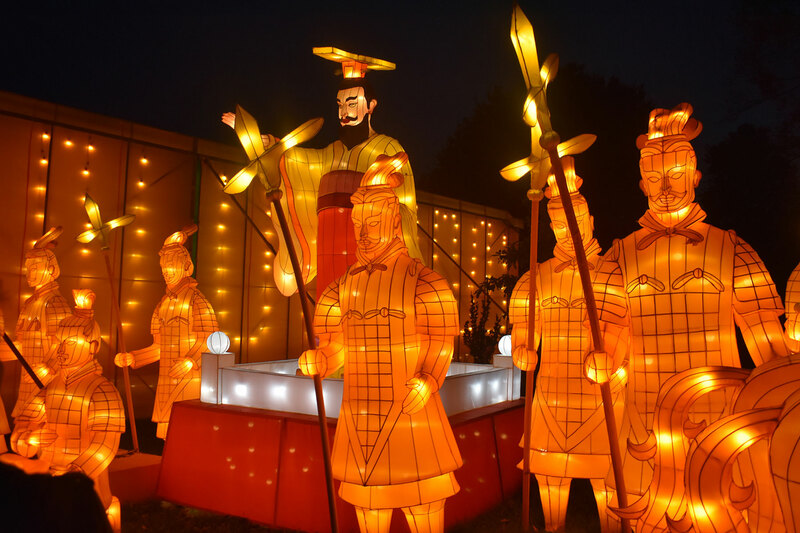 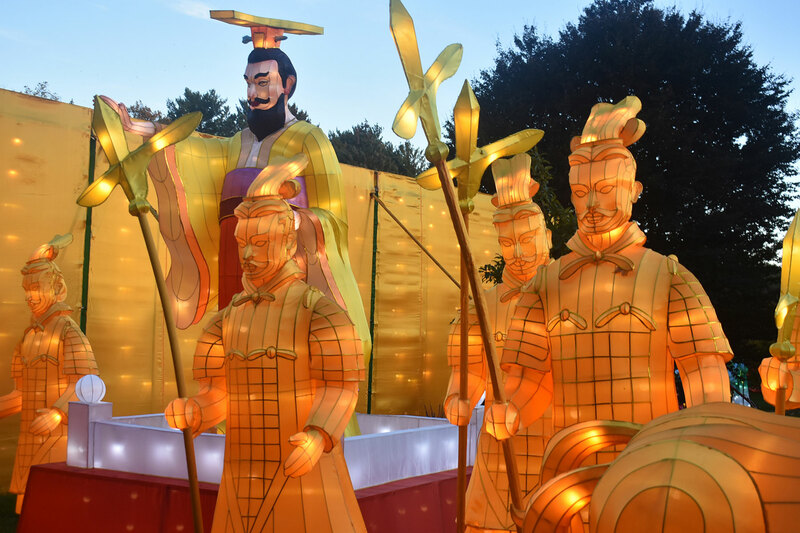 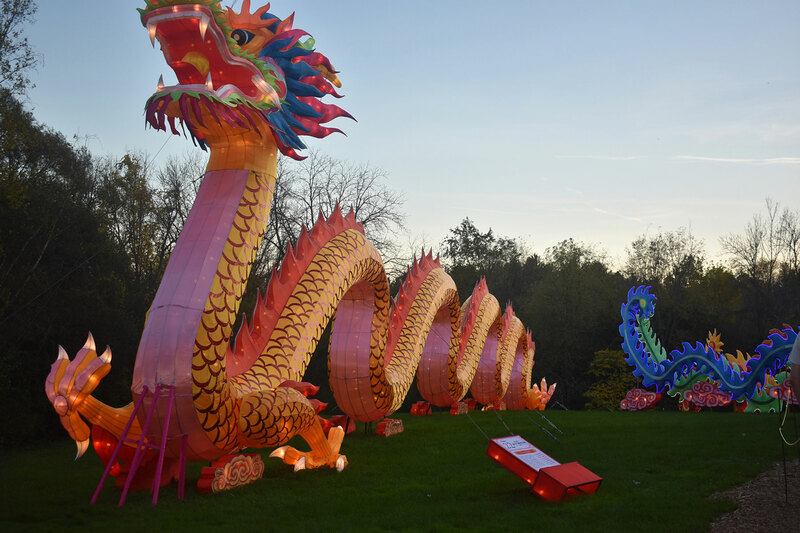 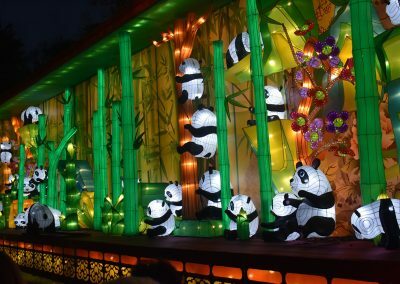 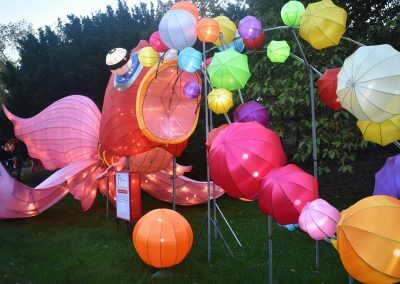 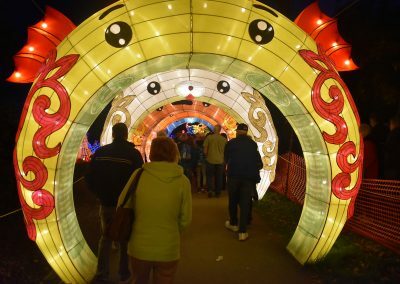 The magic of Chinese art concluded in Milwaukee for another season, as dozens of larger-than-life sculptural lantern displays went dark across 10 acres of the Boerner Botanical Gardens in Whitnall Park. 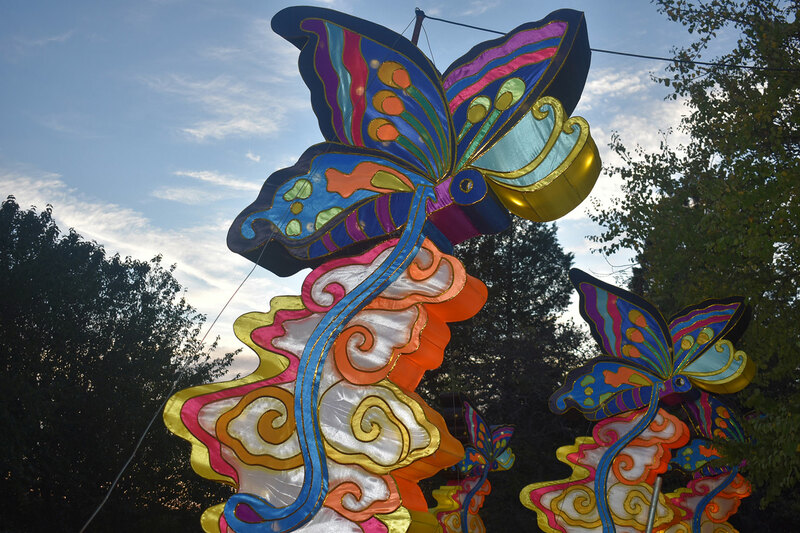 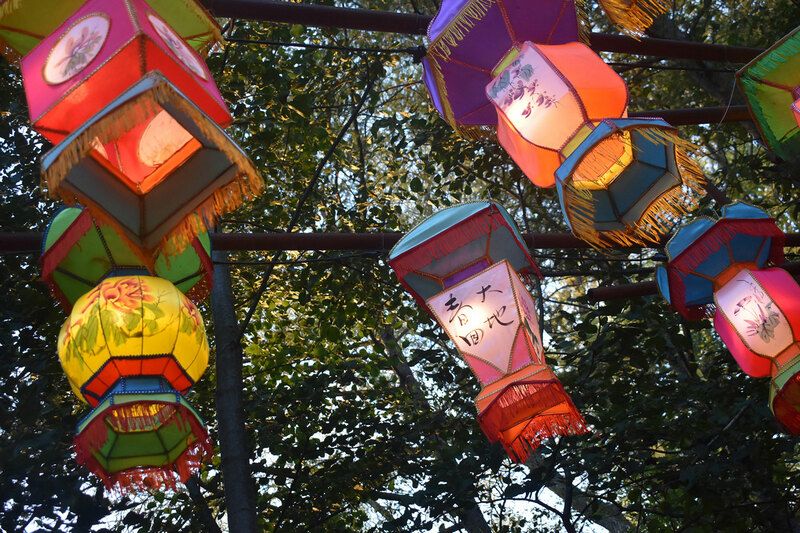 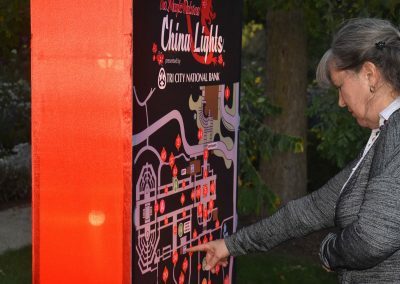 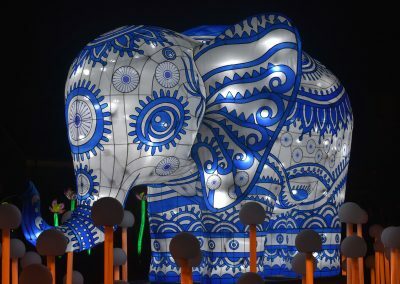 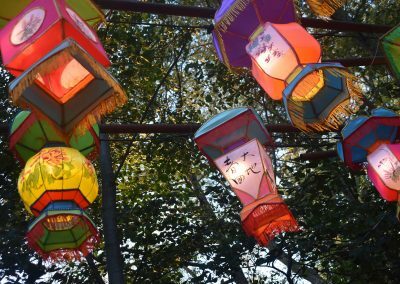 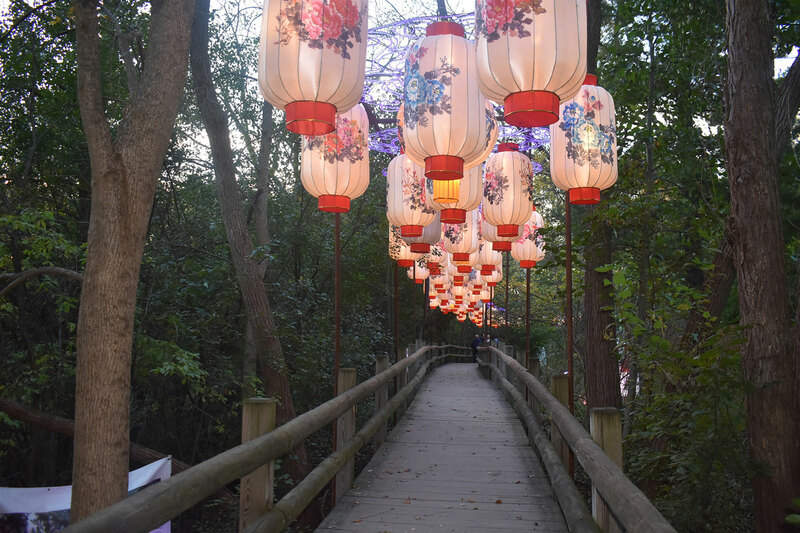 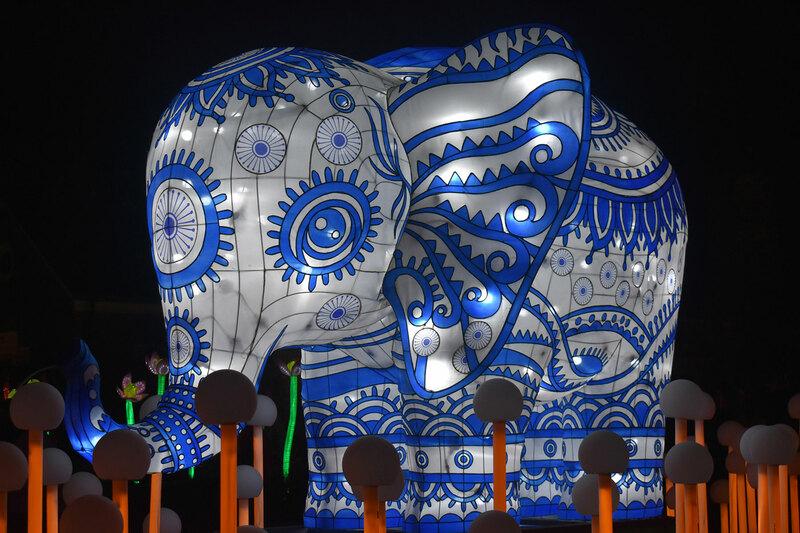 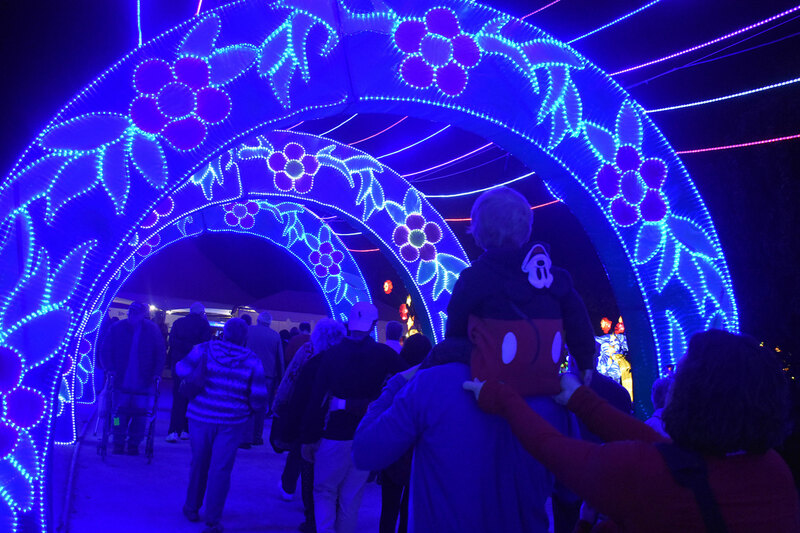 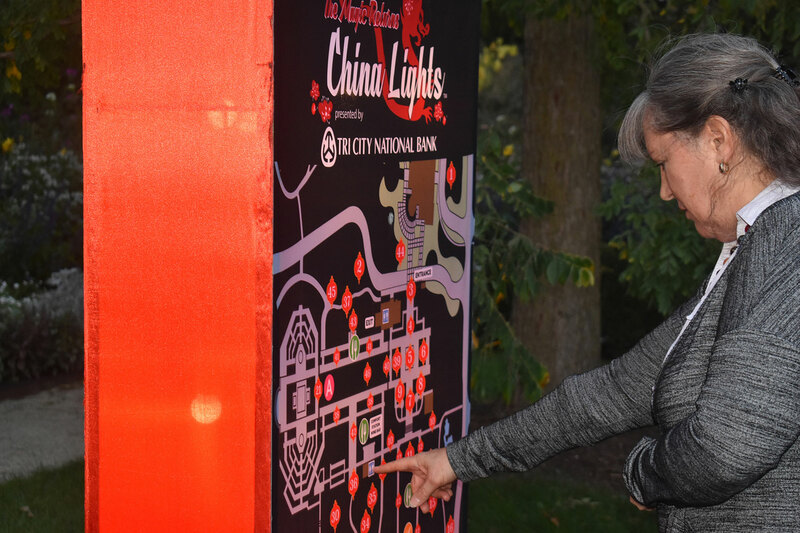 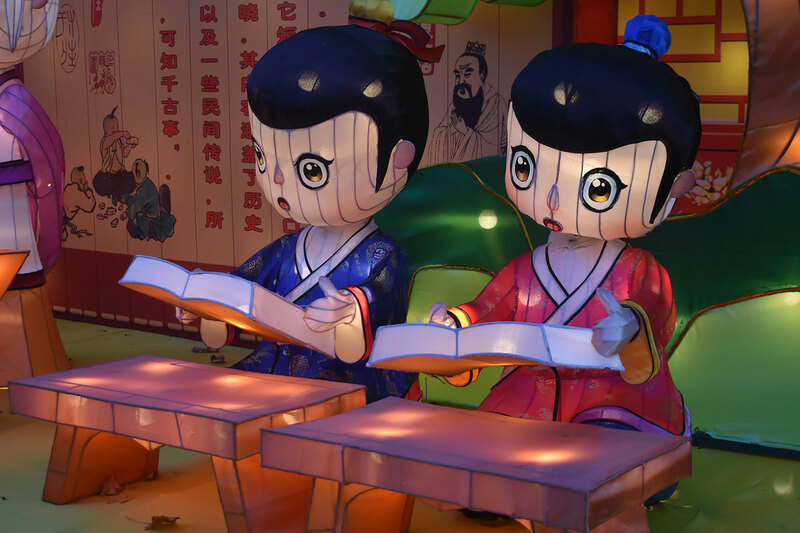 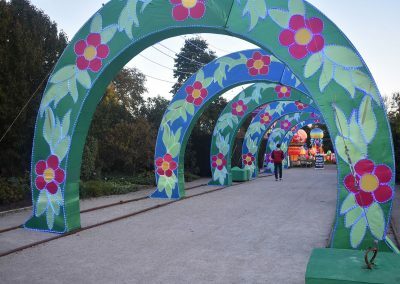 Each year it takes 24 artisans from China more than a month to construct the lantern exhibition on-site, welding metal frames, lighting them from within, covering the framework in brightly colored fabric, and hand-painting finishing touches. 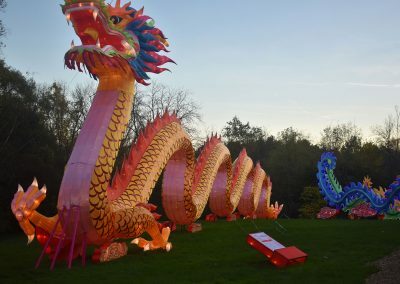 The effort in 2017 ultimately produced a 200-foot dragon, a phoenix with a long undulating tail, glowing flowers, swans, fish, and pandas for the local public to enjoy. 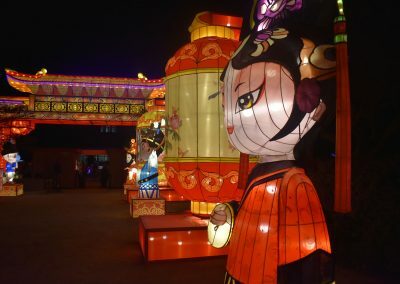 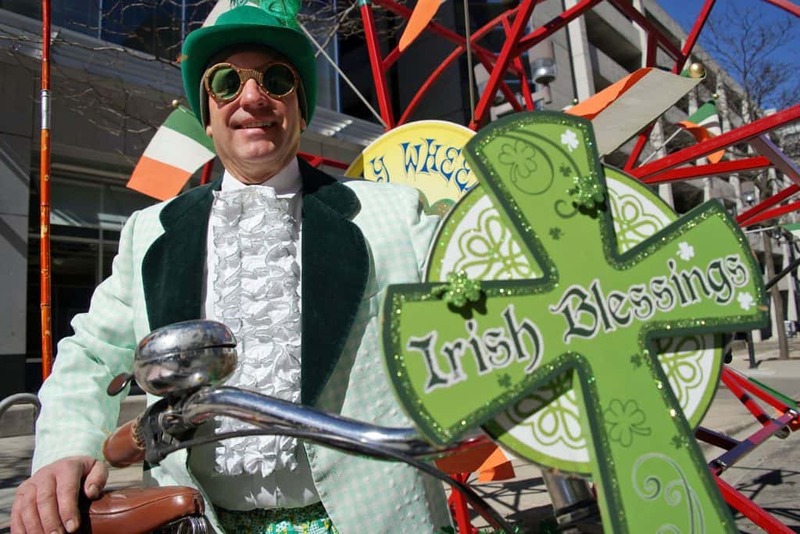 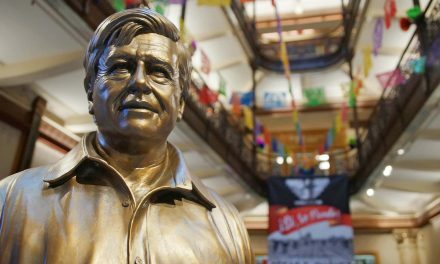 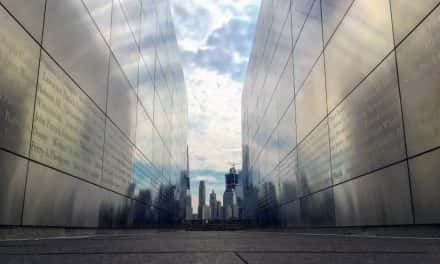 The outdoor cultural exhibit ran from the end of September, with a special extension through October 22 due to its popularity and overwhelming demand from visitors. 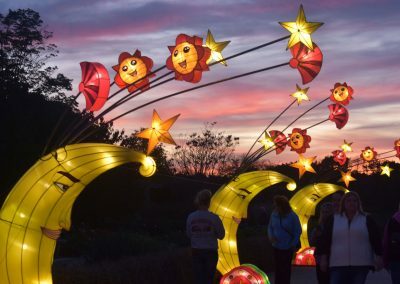 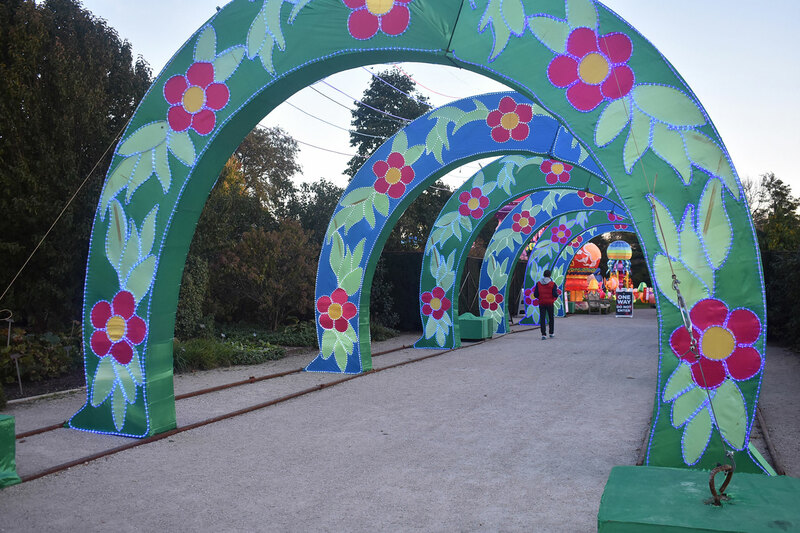 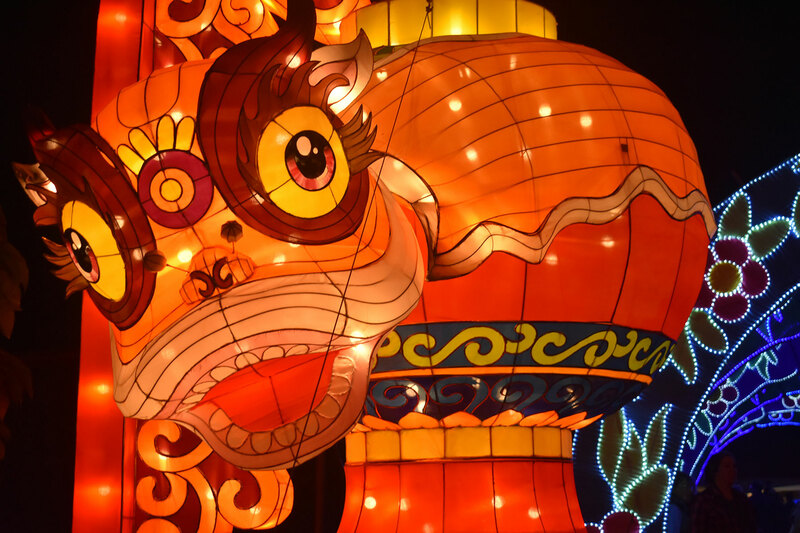 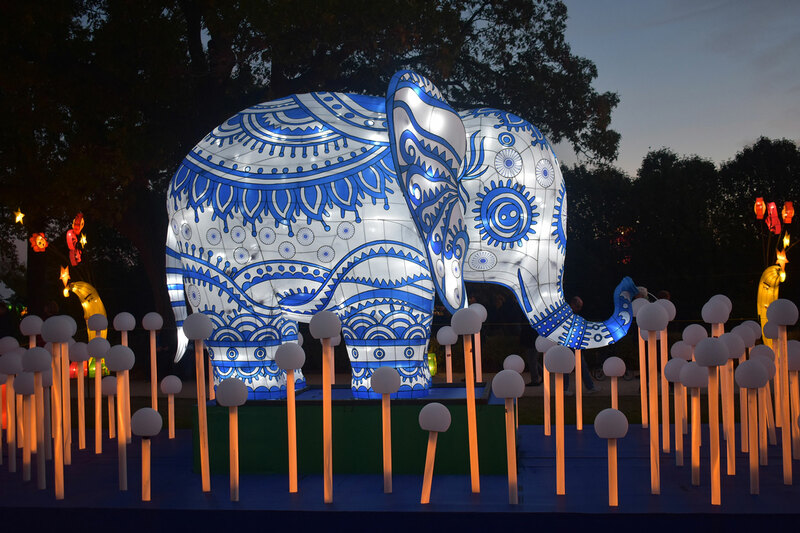 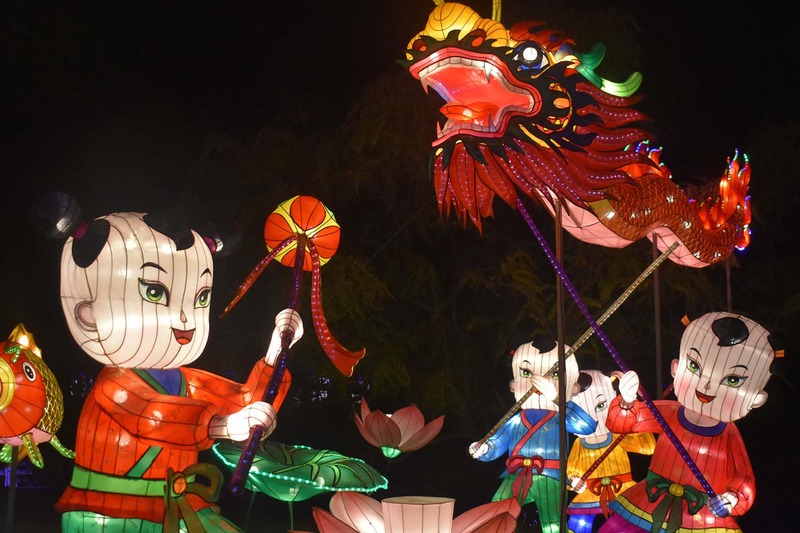 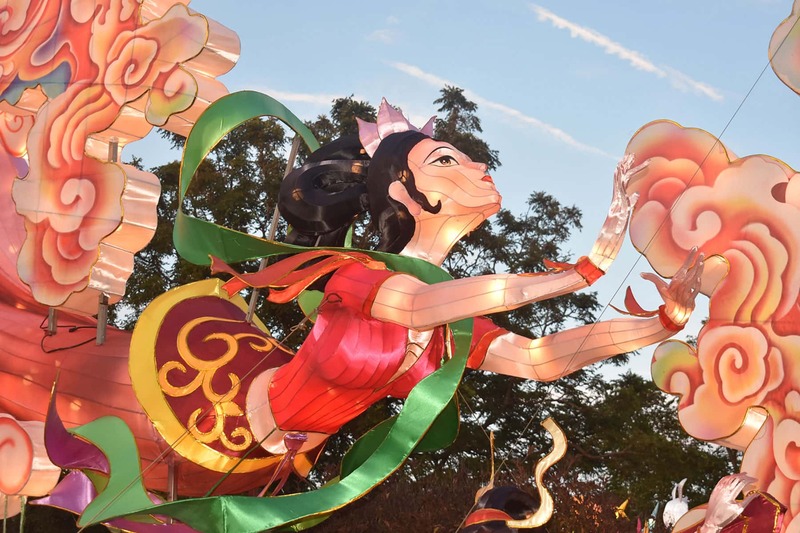 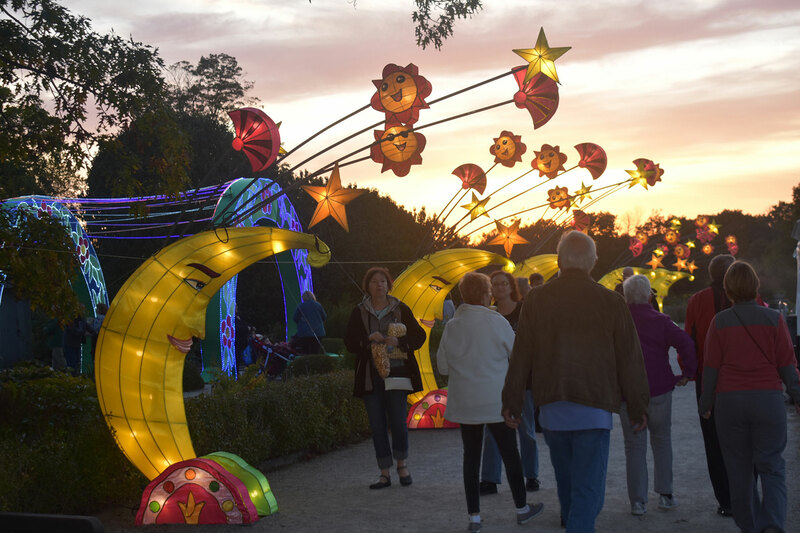 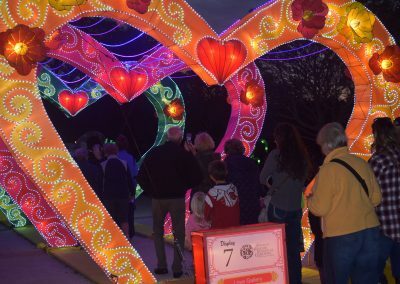 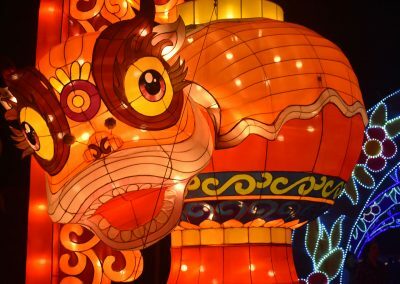 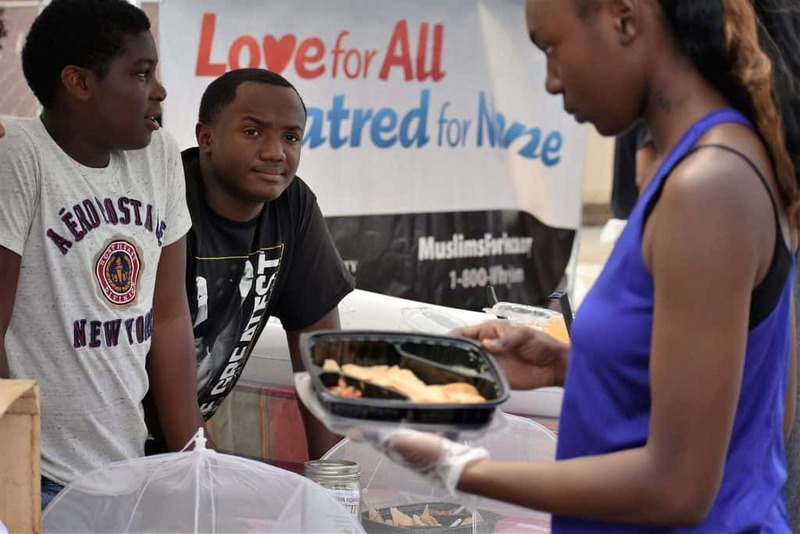 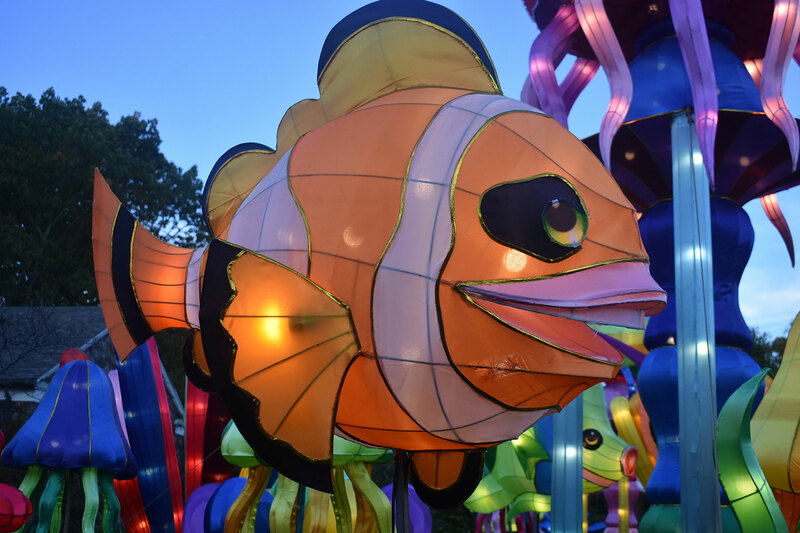 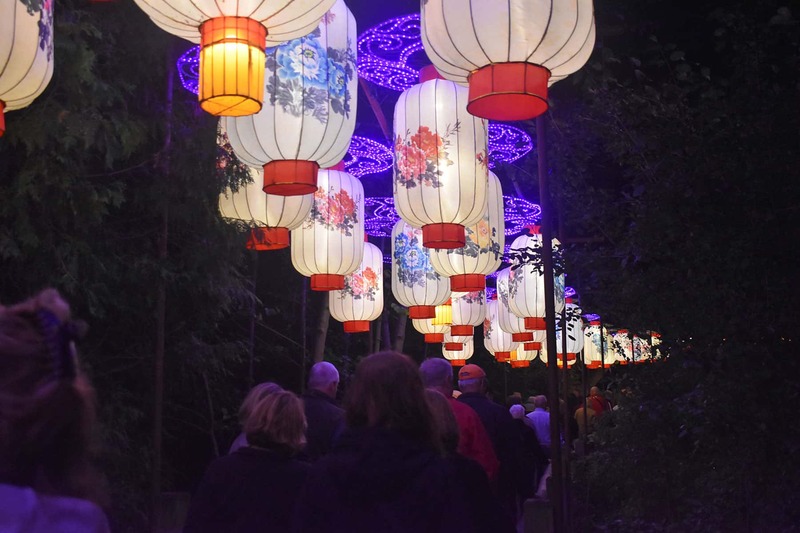 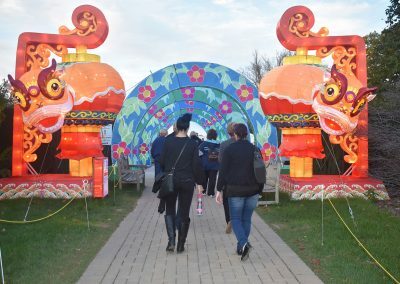 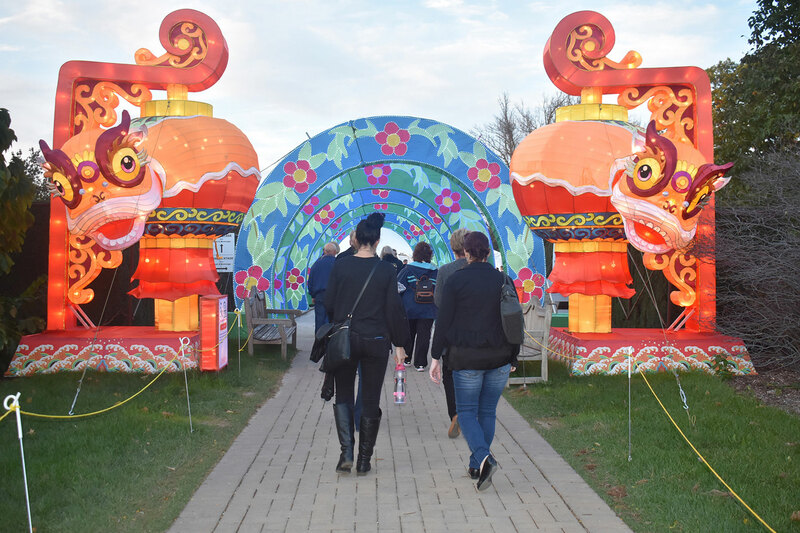 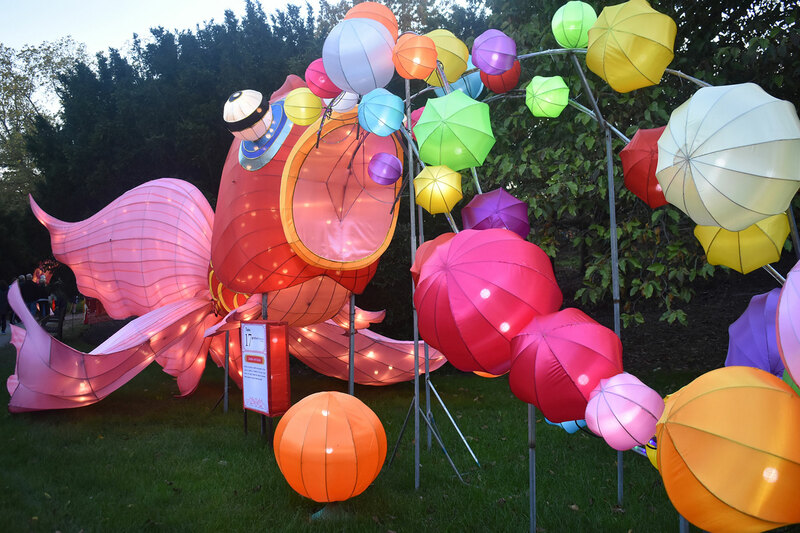 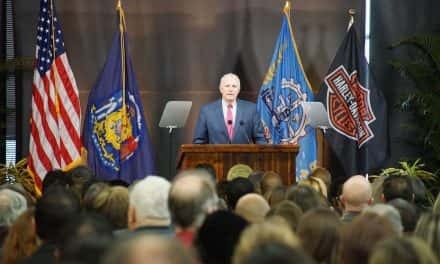 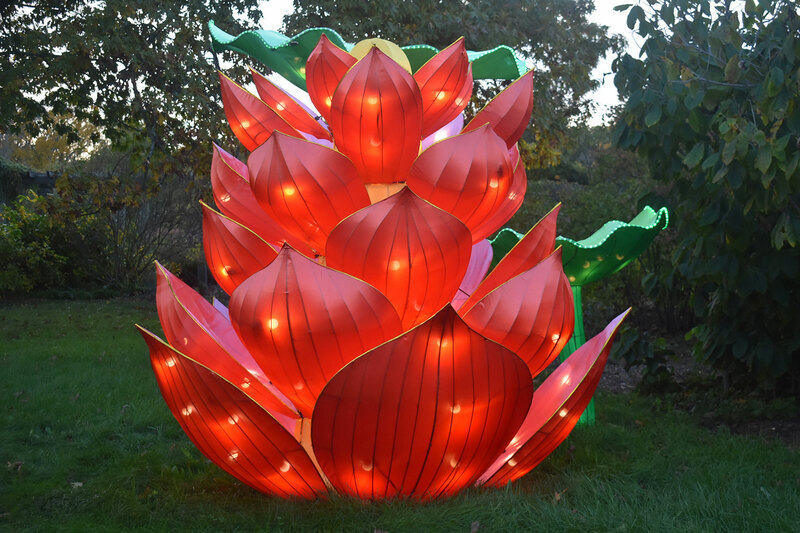 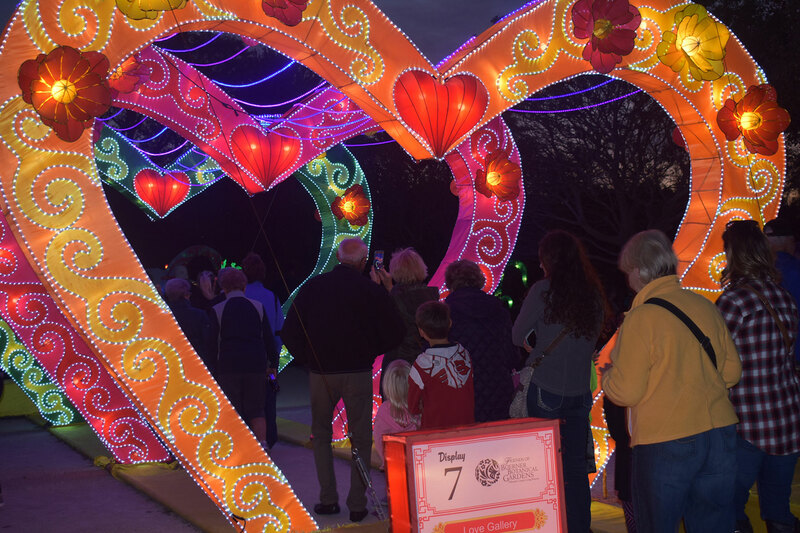 In addition to dramatic displays of color, light, and sound, the Chinese lantern festival at Boerner Botanical Gardens offered special foods, workshops, and performances by the local Asian-American community. 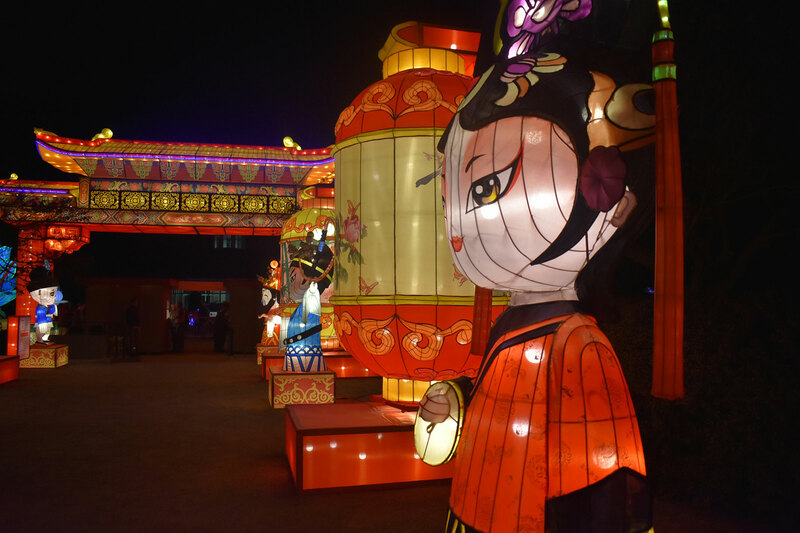 These images show the last lights of this year’s lantern presentation, as families and individuals enjoyed what is becoming a traditional visit for some. 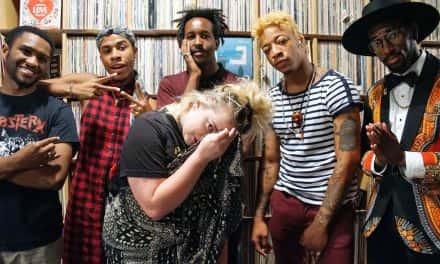 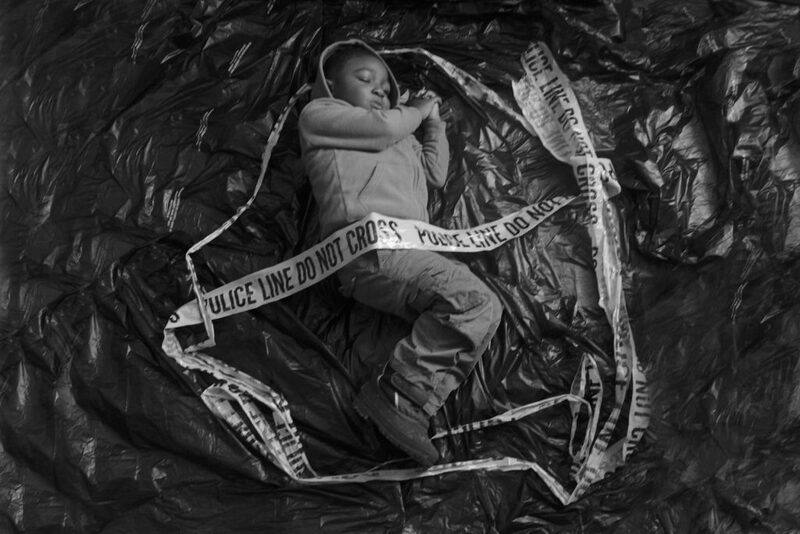 Nick Hansen is an mural artist and graphic designer, who started Art Saves Lives as a platform to showcase his passion for telling cultural stories with photojournalism.